Legogirl's Cabin of Adventure........: April's quilt around the world block. Here is Aprils block I completed. 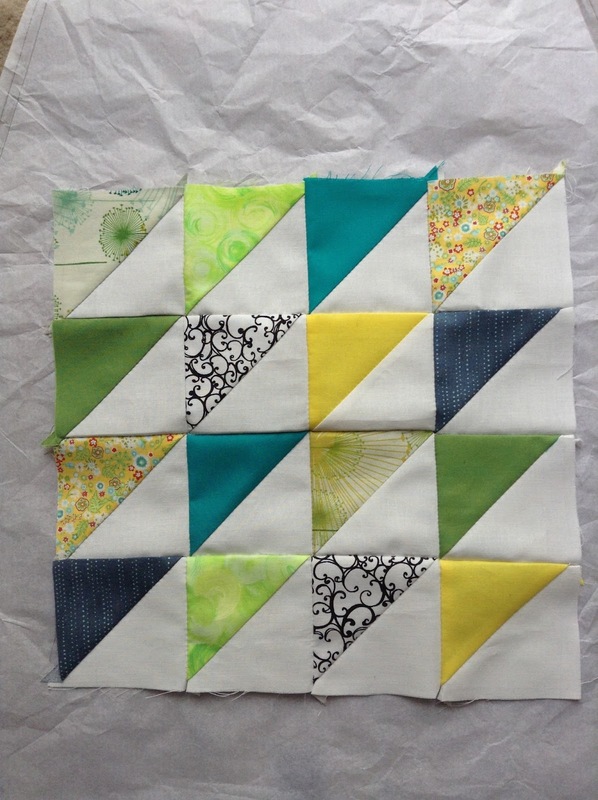 Its called......well it does not have a name its just referred to as "Simple Triangle block"
The Queen for the month lives in the USA and wanted this block to be made from bright, bold, patterned or solid fabric but no pastels. Which is understandable as this block looks good in bold colours. I can't wait to see the whole quilt when its finished. Only 8 months to go before its my turn to choose a block!!!!!!!!!!! no pressure yet!